PageCarton Website Development Bootcamp is an intensive training on website development, apps development and digital marketing. 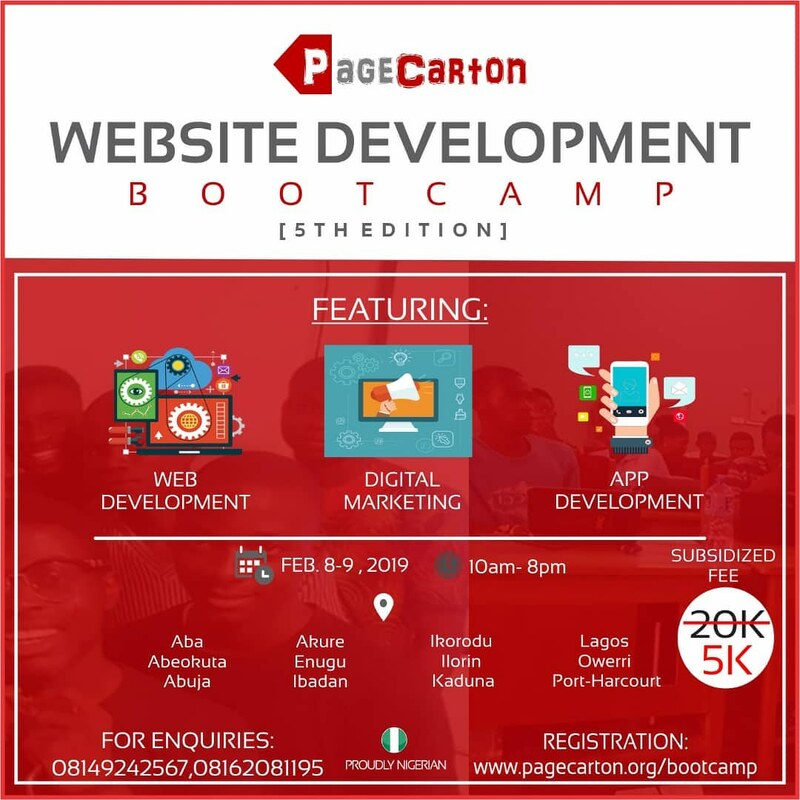 The PageCarton BootCamp will bring together IT and internet enthusiasts from different parts of Nigeria, facilitating learning in internet and web related tools. RELATED POST: Wondering how you can stay immune to spamming, hacking and intrusion? PageCarton first bootcamp took place in May 2017 and had in attendance 16 participants from different states in Nigeria and also different age groups and gender. In August 2017, the bootcamp hosted 48 participants at the second event. Lots of applications are usually turned down due to limited space for admission. PageCarton is continually looking for ways and partnering with reputable organizations in different cities in other to serve more people. The project used to be fully sponsored and hosted by PageCarton and partners. But in 2019, PageCarton introduced a subsidized fee to enable it reach more people and meet their goals of delivering a remarkable learning experience. The PageCarton BootCamp used to hold only in Ibadan, Nigeria but now, the program is expanding to other major cities. How many participants Will be Hosted at The BootCamp? PageCartons' target for the event is to host 100 participants. The organizers requirement is to get space for training 100 individuals. They are seeking to provide chairs, tables and extension boxes that would sit participants and power their laptops or tablets. The program will hold between 10 am to 8pm daily. Light meals will be served at specific intervals throughout the training periods. Individuals will have to pay a token of N5000 naira to ensure the program reach more people. The admission procedure is targeted to ensure only serious individuals get to come. At the end of the training, the event aim to impact the participants in ways to up their games in the areas of information technology and the digital world. 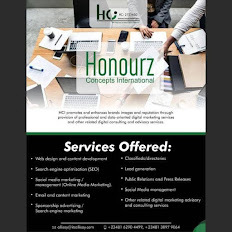 Although, the training would feature more innovative tools more than websites, participants would be expected to have website projects they intend to execute in mind. The training will major on solving real life problems by creating simple websites. Participants will create themes and/or plugins to extend PageCarton capabilities. In August 2017, a certification system was introduced and offered to participants after successful completion of their project (the project will be approved and started) in the bootcamp. This is to further gear the participants towards continuing with their learning to a point where they have at least one completed project in their name. The project would reflect their learning through the bootcamp. The bootcamp will take place on Friday 8th - Sat 9th Feb 2019. Classes will hold from 10 am - 8pm Daily. PageCarton BootCamp will take place at the following cities in Nigeria. How Much is PageCarton BootCamp? How Can I Apply for PageCarton BootCamp?